This was my seventeenth column in Han Wei Wushu, it is about the The Roots of Traditional Chinese Martial Arts - Empty Hand Boxing (Part 2). By the beginning of the Zhou (Chou) Dynasty, the Iron Age had begun; people had discovered how to smelt Iron and durable, strong tools and weapons were able to be made. It was much easier for tribes to protect themselves and attack other encroaching tribes. In 1027 BC, the King of the Zhou (Wu Wang), who brought his tribe over from the Wei river basin area, founded his own dynasty after overrunning the Yin tribe, which were led by King Chou Hsin (effectively ending the Shang dynasty). The Zhou king gave his relatives and nobles the land they had just gained. He decried that these posts were to be succeeded by one`s descendants, thereby beginning Feudalism as a socio-political system in ancient China. He ended the slavery and human sacrifice practices of the Yin tribe. Ending in 221 BC, the Zhou dynasty lasted almost longer than any other dynasty in Chinese history, although marked by much unrest. The dynasty is divided in three periods: the Western Zhou (1027-771 BC), the Chun Chiu (722-481 BC), and the Warring States (481-221 BC). For the first few hundred years, things progressed quietly, until the power of the various kings began to become resented and their taxes and rule thought too strict. Around 841 BC, the nobility rose up in rebellion against the king. They were joined by the city workers and merchants. The nobility of the various fiefs had begun to fortify themselves and maintain their own armies. As warfare became ever increasingly important to maintain one`s territories, the practice of doing fighting drills in fixed battle formations developed to maintain order and efficiency when fighting. On the home front, strategic fighting tactics with weapons and bare hands came to be strongly emphasized. King Wu, as the `Book of Odes` records (circa 700 BC), took military fighting methods and put them into routines or dances accompanied by music. These routines mimicked the movements of local farm and wild animals. It was named Xiang Wu and became the core of Zhou military training and education over time. Farmers had to work three seasons cultivating the land and one season in military training. Among the nobility, these `martial arts` became part of their educational curriculum, with archery being one of the most important skills. During the Western Zhou period, the techniques now known as Shuai Jiao were known as Jiao (Chiao) Ti, which was adopted officially by the government as a fighting and training method by the military (depending on the place that it was practiced, Shuai Jiao went under many names such as "Hao Jiao, Hsian Pu, Kwang Jiao, Kou Jiao, etc."). Also, the `Book of Odes` mentioned fighting with the fists, called `Quan Pu` (Chuan Po), the specific techniques they used is not known to us today. During the 11th century, the concept of `Yin` and `Yang` became fully articulated and then further elaborated into the Ba Qua (Eight Diagrams) idea. The explanations of these ideas were put into the `Book of Changes` (I Ching). The interaction between Yin and Yang forces or energies (positive/negative; giving/receiving; hard/soft, etc.) was thought to be the source of all things. The result of these Yin/Yang changes or interactions formed various conditions, beginning in the eight directions (north, north east, south, etc.) and was symbolized by people in the form of various trigrams. These trigrams together showed every possible combination in conditions, directions, energies, etc., that Yin/Yang interaction can be made manifest. The inner workings of these ideas of Yin/Yang and Ba Gua Trigrams and their implications began to influence the philosophy, spirituality, and military tactics of the time. Much thought was given to keeping a balance between Yin and Yang energies and observing the outcome of the changes things go through as they go away from or towards balance. These ideas were later to become incorporated into Wu Shu martial arts theory, as they became part of the educational curriculum of the learned. 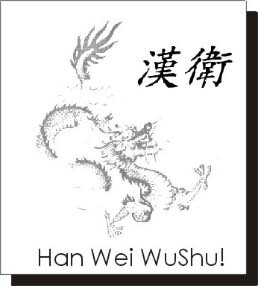 Also during these times, another idea influential to Wu Shu theory was that of doing Qi Gong - `breath or energy works`. A series of physical movements done in coordination with breathing methods was developed called `Dao Yin` (`breathing` and `physical movement`). Throughout the Zhou periods Dao Yin exercises were expanded upon and experimented with. One exercise was called `Yugu Naxin` - `getting rid of the stale` and `taking in the fresh`. An artifact from the time period was inscribed with this description of Dao Yin: `Draw a deep breath, direct it downward, and let it stay there. Then exhale and direct the breath upward like a growing spout, in a direction opposite to the inhaling route and up to its dead end. The heavenly essence thus goes up and the earthly essence comes down. One who follows this law will live, otherwise one will die.` These Dao Yin ideas later became part of Taoism and martial arts theories. During the Western Zhou period, China was made up of various principalities, each with its own king and nobility. Zhou under King Wu was in the middle of them all and the most powerful. The Qi (Chi), Wu, Jing, Wei, and Chu kingdoms were the main rivals, most of them were located in what is now Shantung and the surrounding provinces. Relations with Zhou`s neighbors worsened by 771 BC, when Nobles refused to help King Yu fight against invading tribes from the North. King Yu was killed and the Nobles installed a new leader. The Zhou were forced eastward, making Laoyang the new capital. Next, the Chun Chiou period (722-481 BC), often called the `Spring and Autumn` era, was begun with much upheaval. The feudal system deteriorated and central authority began to collapse as well. The troubled times caused a variety of philosophies to develop in response. During the Spring and Autumn period, Taoism, Confucianism, and Legalism developed. The Tao Te Jing was written, which describes the `Way` and expoused living a balanced life in harmony with nature (said to be founded on the ideas of Lao Tse and his disciple Zhuang Zi). Taoism concentrated on coming to an understanding of the nature of Yin and Yang, the Ba Gua, and the harmonious the nature of the universe`s operations (the `process` of life and existence) and it was to later become another strong influence on martial arts theory. As Taoists continued to contemplate the mechanizations of the universe, nature, peace, health, longevity, and mans place in all this, they explored both the physical sciences and mysticism. Eventually, Taoists combined both under the art of Alchemy, seeking to not only understand the universe, but to be able to manipulate its elements to transform oneself into an immortal being at one with the universe. Another important concept (which later even became part of Taoism) that first originated during this time period was the Five Elements theory. It was first described in 773 BC, the 9th year of King You, by the Grand scribe of Zhou. The theory states that all of nature was composed of the mixing of earth, metal (gold or minerals), wood, water, and fire, from out of these other things were created. The five elements of the human body are the lung, liver, kidney, heart, and spleen. The relationship between these elements was either antagonistic or protagonistic to each other, with observable consequences of their interaction. The `Spring and Autumn Annals` (written by Zuo Shi) mentioned the practice of `Xiang Bo` as a fighting technique of the times, consisting of striking, grabbing, and wrestling (very similar to present-day San Da - free sparring). Sword fighting by the year 521 BC had also become much in use and soon developed into a full martial art. In those days, the length of a sword was only half a meter. Thus, swords needed much technique practice to be of any practical use in battle as a long weapon. The sword became an important a weapon as the various principalities broke off from the empire and vied for power. The Qi, Jing, and Wei sent many troops to attack Hua Shi. The Qi (chi) fought this battle with swords as the main weapon and impressed many people with their prowess. After this event, many people worked on making sword techniques as efficient and effective as possible, gaining much martial art insight in the process of doing so. The use of iron weapons and a cavalry made seven powerful states emerge (by the end of the Zhou dynasty) and surround the few smaller ones within the empire. These seven were the Chin, Wei, Zhu, Ha, Qi, Zhao, and Yen. All were named after the noble family bloodlines that ruled the territories. Other states, such as the Wu, tried to overcome these seven to increase their power, making for an almost constant state of war. The Wu kingdom was started by Zhou Tai-Pu (in 1329 BC), who was a son of the Zhou emperor, Zhou Tai Wang. Zhou Tai Pu moved south to Jiangsu Province, from the Zhou kingdom and after becoming a warlord, created his own kingdom and changed his surname to Wu. Much tension existed amongst the warring states, each containing about 10,000 chariots. Chin took over most of the Zhou lands, while Wu, Zhu, and Yueh controlled the south lands (present day Jiangsu, Jiangsi, Anwei, and Zhejiang provinces) and Qi controlled the eastern edges of the empire (present day Shantung province). The Wu and Zhu fought each other for fifty years, with Wu continually seeking a means of overtaking Zhu. In 512 BC, the answer came in the form of Sun Wu (also known as Sun Tzu), an army general who became an advisor to the Wu King and who later summed up his successful battle strategies in a book called `Military Strategy and Tactics` (The Art of War). Sun Wu was from Qi (Shantung province), his original name was Tien Hun Tien. He escaped some political intrigue against his family in Qi by defecting to Wu, where he promised the Wu King that he could help him to overcome all of his neighboring enemies. Sun Wu`s military strategies were highly effective and the Wu troops totally baffled the Zhu and Yueh states with heretofore unorthodox assaults that caught them off guard, avoiding the Wu much bloodshed. Sun Wu`s strategy involved much yielding, segmenting, combining, changing, and transforming maneuvers as necessary (making much use of the Five Elements theory). To avoid headlong confrontation with the very powerful Chu, Sun Wu worked the Wu troops so as to use the terrain to its tactical advantage, to spread the energy out, to choose objectives carefully, and to suddenly concentrate its forces when and where it was unexpected. Many people studied Sun Wu`s ideas and his book became highly influential to the art of fighting, both in battle and later as people applied his ideas on a lesser scale, to hand-to-hand combat. Much use was made of the Five Elements idea of antagonistic and protagonistic forces, changing and transforming in mutual promotion and restraint. Another great army general, Woo Zhi Shung, defected to Wu from the Zhou kingdom, because his father had been betrayed and killed. Both generals Woo and Sun advised King Wu Kwang (20th generation) and taught the king and his sons fighting skills. The 18th generation King, Wu Sou-Wan`s military advisor was General Seng Woo, who also defected from Chu and changed his family name to Wu. Sometime during the 500s BC, King Wu Sou Wan`s son, Wu Ji Zhe, achieved much renown for his sword fighting skills. During the Spring and Autumn period, the Chu discovered the making of steel and soon after longer swords were able to be crafted. These longer swords were widely adopted in warfare. Many people became sword experts, especially in the Wu and Yue kingdoms. King Wu Kwang himself practiced sword fighting and many huge contests were given. He owned a pair of specially forged swords that are legendary to this day: a male sword called the Kan Jian and a female sword called the Muo Xie. Around 496 BC, one of ancient China`s best sword fighters was a woman named Yue Nu. She practiced developing her idea and methods for years in her land. Her fighting theories and techniques became another major influence on Wu-Shu theory. 4) Using both static and moving states. She also wrote much about: being calm and unassuming in appearance, but fighting as vicious as a tiger; reacting fast enough to reach the opponent first with a strike, even though the opponent started first; uniting spirit, form, and intent. She was acclaimed for her skills all over ancient China and much respected by all. Learned people and military fighters soon saw that the concept of `Wu-Wei` - doing nothing out of harmony with the flow of things was at the heart of many skills. It was found as an idea in common to many ideas that were then currently developing: Taoism, Yue Nu`s sword fighting, the Five Elements battle strategy of Sun Wu, and the Dao Yin qi-gung practitioners. In their explorations on the ways of or the nature of the universe (`The Tao`), Taoists began uniting all these different expressions of Wu-Wei. The circular movements of sword fighting were seen as putting man in tune with the natural cycles of the universe (stars, seasons, water, birth, death, etc.). The effect was seen as even more pronounced if the actions were combined with qi-gung breathing exercises and the mental exercises of military strategy. Taoists of the war-torn time saw warfare as an element of all life, against mortal and immortal enemies both outside and within the human body. People who were learned in all these concepts were soon in high demand in all the Chinese courts of the various kingdoms, as they were sought as advisors to the kings and nobles (princes, lords, etc.). Battle strategy by the end of the Spring and Autumn period was very important because the Zhou dynasty had weakened so much that the empire splintered into 44 feudal kingdoms (by 475 BC). Soon these kingdoms began attacking each other and the stronger swallowed up the weaker, ushering in the Warring States period (475 - 221 BC). During this time, a descendant of Sun Wu (called his grandson, but more likely a great grandson) named Sun Bin (not his real name) also became a great war general and wrote his own book of battle strategy called `Military Methods`. Over time, the kingdoms of Yau, Wei, and Chao were left the strongest. The Yueh kingdom finally took over the Wu and then it fell to the Zhu. Sun Bin advocated rigorous training and discipline, especially in weapons skills and battle formations. Sun Bin was from Qi and served under King Wei of Qi, helping him win over the kingdoms of Wi and Chao. Sun Bin`s ideas were also highly influential to Wu-Shu theory, so much so that a martial art style was later named after him centuries later in shantung province (where the Qi kingdom was located). A few centuries before armies were small and battles lasted little more than a day. Often the generals or nobles fought against each other in hand to hand combat instead of the troops. Now, huge armies of half a million were not unusual, with long protracted battles and sieges. Farm peasants were now needed as foot soldiers (in the past only those of nobility were deemed sophisticated enough for the military). Many people were needed for the infantry, which replaced the chariots on the battlefields. Enemies were now slain instead of captured. After 300 years of bloody wars, the 44 kingdoms became consolidated in the 7 large states and 3 smaller ones, by 390 BC. The demand for quality diplomats, statesmen, and military advisors greatly increased as the Warring States period progressed. Great people such as Confucius, Mencious, Mo-Tzu, and many other famous philosophers rose to the occasion during this time period and each influenced the thinking of the times among both the learned and the common peoples. Many people were needed to help protect a king`s, nobleman`s, or merchant`s holdings. Peasants, unemployed artisans and merchants, and former soldiers soon took to studying self defense to get work as body guards and security agents. The kingdom of Qi worked hard to recruit men who were brave and good at fighting. Many people worked to perfect techniques that were more efficient and effective, so as to quickly win a battle. Empty hand fighting techniques began thus to be greatly developed. Zhuang Zi developed a theory of boxing (Shou Bu) that espoused the idea of ingenuity: the fighter with clever techniques initially fights in an ordinary way and then suddenly changes to tricky methods, winning the match. The people of Qi soon became renowned for their development of a boxing style that was called `Chi -Chi` (Ji Ji), or `Skillful Striking`. The Qi developed a form of fighting that was different from battle field fighting that was able to be used as intensely as needed. Battle field fighting methods killed instantly, and methods were needed that could be used to do this or merely incapacitate if needed. Qi fighting allowed one to accelerate the severity as needed, and was used for personal defense as well as sport. People became renowned for their skill and control. Boxing matches were held as popular events in various kingdoms. Also, `Jiao Di` (wrestling play) developed into a spectator sport. Chin-Na (joint locking) techniques also continued to evolve from these activities, as people explored hand to hand fighting as self defense, sport, or war. As the chaos of the times increased, the countryside became full of groups of criminal gangs, robbers, thieves, and outlaws. Interstate trade was greatly increasing and the need for good bodyguards was great. Being able to fight in close quarters, small scale, combat became a necessity and bodyguards on long journeys with trade caravans occasionally exchanged ideas and techniques with other traveling bodyguards. They looked for the best techniques for attack, attack-defense, countering, controlling, feinting, evading, and more. Hand fighting skills became highly developed and the best fighters were known for their main technique of striking, kicking, joint-locking, throwing, and hitting vital points. People tried to distill what they knew and consolidate the various techniques into one or a few main moves that they could always count on and each great fighter was known for their main technique. People sought to develop their fighting into an art that transcended all that they know into a highly effective small set of moves, if not one main move. According to Ssu Man Chen`s book `Records of the Great Historian`, a new class of roving people emerged during these times, called the `Knights Errant` (Yu Hsieh). These were professional ex-soldiers that roamed the countryside offering their services as mercenaries. They were skilled in the military arts, especially sword fighting. They had a code of conduct and tried to be honest and fair, helping even ordinary people in distress. The Knights helped to establish the idea of using martial arts for self defense and helping those who were weaker and in need. This idea was also a great influence on Wu-Shu theory and many people embraced the idea of using martial arts for good and only for fighting against wrong doers. By the end of the Warring States period, all the groundwork had been laid for the theoretical aspects of Wu-Shu. People used self defense to stop a fight, improve their health and physique, and test their skills, rather than just for killing in war. As people combined these ideas and concepts with the most efficient and effective hand to hand combat techniques, Shaui Jiao (grappling and throwing) techniques, and sword fighting techniques, the practical side of Wu-Shu developed as well into an all encompassing way of life. Once these areas became further united with Taoist spirituality and health (Dao Yin/Qi Gung) theories, Wu Shu was turning into a complete martial arts system, covering all aspects of the martial arts that we see today, as early as 3000 - 2500 years ago. All of these 14 concepts led to the main distinctive feature of traditional Chinese martial arts (and thus true Wu Shu theory), namely: evasive, circular, and linear movements that are simultaneously both defensive and offensive. These movements are meant to stop a fight, that is, to prevent an opponent`s incoming attack to escalate into a struggle between opponents. By preempting the incoming attacks via use of evasive skill and taking control of the situation via intelligent maneuvering, brute force against brute force was unnecessary and instead such attributes as spirit (attitude), speed, internal power, skill, evasiveness, and so on were needed. Wu Shu came into being, which literally means `stopping the battle`, and fighting blow by blow gave way to true martial arts. Furthermore, because the very earliest Chinese martial art was the bull fighting like game of Jiao Ti, subsequent ancient Chinese martial art techniques began being extrapolated from this starting point, making each succeeding martial art idea have this legacy of highly evasive self defense movements. This point is very important to understand, if Chinese martial arts instead started from a more confrontational and less evasive and skillful fighting game, it would have developed very differently over time into something quite different looking. (For example, Western fighting arts developed out of face to face dueling and by modern times changed into the sport of Western Boxing.) As self defense techniques, footwork (stepping patterns) was as important as hand work and throwing and joint locking were just as important, if not more so, than striking when being evasive. The ancient Chinese martial arts by the end of the Warring States times, even though they contained no `forms` or routines yet, already exhibited some common basic principles, which arose out of necessity, and which form the foundational ideas behind all martial arts techniques. Eventually, stylistic differences developed among families, schools, etc., teaching martial arts. Each teacher embellished his or her own details in how these principles are applied. But, even so, what they taught contained these common principles, or else their martial arts could not work in the environment that they were needed for (one where a sudden ambush forced one to evade and redirect the incoming attack and then quickly overcome the attacker without brute force, since there was little time to struggle). 2- Directing Intent: which involves keeping focused awareness directed towards the opponent or target, with an attitude of firm, calm command of the situation. 3 - Bridging the Opponent`s Center of Gravity: which involves closing the gap by following and guiding the incoming attack`s momentum to join with it so that it can be taken over and controlled. This is done via rotation of the torso. With proper timing, a connection is then made at a point on the opponent where there is no relative motion and light physical contact leads or redirects the incoming momentum`s force. The opponent`s center (both center line and center of gravity) is compromised. 4 - Apply Irresistible Force to Overcome the Opponent: which involves, after bridging to the opponent`s incoming force, applying leveraged force so that no counterattack can be made by the opponent, and transferring one`s own accelerated momentum into the opponent`s. Joint locks, throws, and other means of applying leverage are employed so that the opponent is hyper-extended, via exploiting the structural weakness of the opponent`s body. Transferring momentum involves continuing to move the opponent at a naturally accelerating rate, `borrowing` and redirecting the incoming attack back to unbalance the opponent. Speed, rhythm, and sensitivity are important considerations. 5 - Unbalance the Opponent: involves misaligning the opponent`s body mechanics (skeletal frame) so that the added slight pressure will cause an unbalancing and collapse of the opponent. Uprooting is necessary to move the opponent`s center of gravity so that the stable base of the opponent`s hips and feet are upended via destabilization (removing the support, leverage limb movements, sudden weight shifting, rotating around an axis). After unbalancing the opponent in the midst of an attack, follow through the take down by continue with strikes, joint lock, etc. Finishing is important so that the uprooting keeps the opponent down and unable to continue attacking. By the end of the Warring States period, martial arts techniques began to diverge into three areas: sports, military, and self defense, both with weapons and hand to hand combat. Each area necessitated a different emphasis of techniques according to the degree of severity needed for the situation. But, all three areas still contained the Core Principles as their base. These Core Principles were inherent to the emerging martial art techniques of the time and of which are still practiced today as expressed in the form of `Core Techniques`. These Core Techniques are the general applications of the Core Principles and can be found in any traditional Chinese martial art style, embedded into their foundational material. Even though they had been developed a few thousand years ago, little has been changed over the centuries. Every stylistic application of the Core Principles contains the Core Techniques inside it. Most of these techniques developed from the techniques of sword fighting. Thus, the development of the art of sword fighting helped to further develop the art of empty hand fighting. the two knees are sectors that need to be protected from an incoming attack and, vice versa, are areas to attack (other than the eyes, the head was not considered a primary target during this time period). Bisecting these four corners (also called gates, doors, windows, etc.) is an imaginary centerline, which traces the most vulnerable and sensitive areas of the body (internal organs, spine, groin, throat, eyes, etc.). It acts as an axis around which rotational movement is made. The four corners should be kept parallel to each other and perpendicular to the centerline. To protect the vital centerline, the body must be kept aligned, with the toes and the knees pointing in the same direction; shoulders and hips pointing in the same direction, body weight carried through center of the feet, spine erect, chin down. (It is clear how these ideas originally came from the trials and errors involved in the development of sword fighting techniques in ancient China.) A V-shaped area is formed when the arms are extended and met in front of the centerline (raised no higher than in line with the nose height). Incoming attacks are warded off by simply extending the limbs such, especially when the body is rotating. 2 - Maintain Root: With the correct anatomical alignment, the body can be maintained in a relaxed state (because there is no undue tension/ stress on the body`s joints, muscles, bones). This allows the body to sink , lowering one`s center of gravity. With a lowered body center, one is more balanced (`rooted`) and is less likely to be toppled over because the body`s base is widened and made to feel heavier when moving or standing, due to the pull of gravity on the lowered body center. 3- Rotate the Waist: When moving with a lowered center of gravity, the body moves as it evades or attacks by rotating the waist, like an axle of a wheel. Movements follow the turning of the waist (where the center is located), which allows the rest of the torso and limbs to swing like pendulums. The swinging movement creates centripetal (directed in) and centrifugal (directed out) forces, with energy going towards or away from the centerline axis, powering the limbs with momentum and making them feel heavier when striking as they extend. The rotation of the waist causes the inguinial fold (known as the Kua in Chinese) to open and close (the fold along the leg/hip socket), which moves the most powerful muscles, ligaments, tendons, joints, and bones of the body (those that allow one to sit, rise, lie, stand, and walk naturally). The waist rotation makes the limbs either compress-stretch-rebound in a pulsing manner or swing in a wave-like or whip-like manner. With each rotation of the waist, the pulsing or waving limb movement build up momentum. Essentially, this technique simply means using natural movement. The martial arts writings of the times describe `boxing being like walking`. 4- Coordinate the Limbs: The limbs should not be hyper-extended, the shoulders should be relaxed, and the elbows should be kept lowered. By keeping the elbows down in most movements, these is more leverage able to be applied when the limbs are led by the waist`s rotation. 5 - Coordinate the Breath: The breath is not held when moving. Breathing is coordinated in time with the anatomical movement. Air is exhaled with applying force and inhaled when evading force. 6 - Coordinate Natural Single Weighted Stepping: When evading and dealing with an incoming force, there is a specific pattern of stepping that follows the rotation of the waist. As an incoming force approaches, the waist is rotated to be at a 45 degree angle from the attack as it evades. (If moving to the right) The right knee bends and the right hip fold (Kua) closes as the weight shifts to the right side and sinks down. The left leg is brought to the side of the right and its knee is kept bent and raised (often called the `chicken` or `rooster` stance), protecting the groin and making a 45 degree angle. The waist is then turned to the opposite 45 degree angle, as the left leg/foot turns out to the left as it drops to the front, and the right Kua opens and the left Kua starts to close. The right foot then follows behind and the body weight is shifted to the left leg. (The center of gravity is still kept low throughout the whole sequence , the head height does not raise and lower.) Thus, the stepping pattern of `raise, drop, and follow` is one of the oldest in use in martial arts. 7 - Coordinate Circular Arm Movements: As the stepping is taking place, the upper limbs help to evade and deal with any incoming force. (Again, if moving to the right, as an example) As the body rotates to the right, the left arm moves with an extending motion (making half the V-Shape discussed in Core Technique #1), the hand makes deflective contact at a 45 degree angle with the incoming force, and, in unison with the waist, as the body rotates to the left, guides the incoming force away to the opposite 45 degree angle (by yielding, redirecting, sticking, etc.) via a circular motion. As the left arm circularly passes the centerline of one`s body, the right arm extends to that same 45 degree angle, preventing any break in the centerline`s protection (making the other half of the V-Shape), and the right hand is used to deflect, strike, lock, shift, etc. Again, the right limb moves in unison with the waist. This extension of the upper limbs was called `Mother and Sons`, `Yin and Yang`, `Dragon and Phoenix`, etc. And, all hand techniques spring from it in every variation. The hand can extend as palms or fists; horizontal or vertical, face up or face down. One hand can protect the upper two corners and one hand the lower two. Also, the arm rotates when it makes contact, accelerating the redirection and striking (or locking, etc.) at the end of the extension. This movement allows for simultaneous defense and offense. (In these ancient times, people specialized in one of these variations and became renowned for mastering its use as a simultaneous defense/offense technique.) The elbow is kept down throughout the sequence for maximum leverage. It became obvious to people that by use of this technique, soft overcomes hard and hard overcomes soft. This technique became known as `Diagonal Striking` in the Shuai Jiao style, `Turtle` in Hsing I, `Wave hands like Clouds` in Tai Ji, `Monk Strikes the Bell` in Lohan Shaolin, and appears in many other styles in some variation or another. 8 - Coordinate Leg Movements: The leg is simply extended to block incoming attacks in coordination with the previous two techniques. Next, as the foot drops, the leg is used to sweep, trip, uproot, bend, etc., the opponent`s leg, causing them to lose their balance (with little force needed to be used). From the Five Core Principles and their resultant Eight Core Techniques, a full range of self-defense techniques were made possible: fingers, hands, legs, joint-locking, and throwing. From the crudest striking and kicking to the most sophisticated joint-locking and throwing. With all these ideas available and necessary to be used during the Zhou dynasty, it was only a matter of time that an actual Wu-Shu martial art style would be developed during this time period. One of the first martial arts styles that exhibited all the prevailing theories of the time is known as the Wu Jia (family) Quan Fa. It is also called the Dragon/Phoenix style, which symbolizes the hand techniques of the style. It was developed by Wu Ji Zhe about 2800 years ago (between 400 - 500 BC). It has been practiced for many generations ever since, passing from one heir to another. Wu Ji Zhe learned about fighting techniques from various generals from the Qi Kingdom that were advising the King of Wu, including Sun Wu. More than likely, they brought with them the Qi Kingdom`s boxing style of `Chi Chi` (Ji Ji). Also, Sun Wu`s fighting strategies had an influence on the way the style`s techniques were used. Wu Ji Zhe also spent much time practicing swordsmanship, so much so that he was considered one of the best in all China, even today. Wu Ji Zhe developed qi gong exercises, hand techniques, routines, and sword fighting routines. The qi gong was based on the Five Elements theory (Water, fire, earth, metal, and wood; with metal being gold) and involved the long practice of standing breathing exercises and moving exercises, emphasizing the sinking of chi (or qi) to the root. Training involves basic stances, kicking, and hand techniques, and basic/drilling patterns. Because it is such an ancient style, there are no formal routines (or forms) for the hand techniques, only a combination of movements or loose techniques (martial arts of the Zhou dynasty did not contain forms yet). The techniques are based on the yin and yang theory and emphasize using soft against hard and hard against soft, focusing the mind and body to work together so that natural movements will be used accordingly in a situation. The style works on controlling the opponent within the shortest time possible, with short, tight direct and circular movements. The hand techniques include joint-locking, grappling, pulling, punching, striking, palm and finger strikes, pushing, circling, slapping, etc. Occasionally, there are long range strikes involving the whole body to reach forward, such as that seen in such styles as Tong Bei today. The rest of the movements are small and quick. Kicks are very basic, low, front kicks and leg blocks (jamming) and kicking while stepping forward (which is a mark of the military, at this time in China, military fighting made much use of raising the leg, kicking forward, and then dropping the leg, and continuing with the next kick as one stepped forward in a line with other soldiers. This practice continued in the military martial arts for many centuries and was still seen later during General Yue Fei`s time in the Song Dynasty and even later still. Weapons include the Da Dao (Broadsword) and the Jian (straight sword) and are composed of very simple movements of slicing, cutting, chopping, pushing, grabbing, thrusting, pulling, etc. The Dragon and Phoenix are the symbolic animals that the style emulates (Dragon Claw, Dragon Fist, Phoenix Wing - the classic Tan Shou, Dragon Tail, Phoenix Eye, Phoenix Palm, etc.). These are done with direct, short, circular motions, while the body coils and turns as it yields and then counters. Also, the movements are made to be used against multiple attackers (another feature of military martial arts of the times), with `deceiving` techniques that involve much use of chin-na techniques and quick, direct strikes. Many of these ideas can be seen today in the existing Wu Jia Quan Fa practitioners that are descendants of these original Wu royal family. Tong Bei is the other martial art empty hand style that developed during these times and follows the same core principles and techniques as well, and will be discussed seperately in another article.